This article first appeared in auxiliary Magazine, January/February 2007. Reprinted with permission of the publisher. We see the traditional dental practice model of ‘drill, fill and bill’ fading as dentistry progresses into new technologies, biological treatment approaches and contemporary customer service. Not surprisingly, it is the latter aspect that is offering the greatest results, as seen in the emerging and flourishing patient-centric business model of “spa dentistry”. Here the focus is on patient comfort through an infusion of the dental practice environment. The physical environment can be converted with ease and economy to create a peaceful and beautiful atmosphere through the use of colours, soft lighting, soothing music, calming scents, refreshing tastes and alluring furnishings. People generate a perception of dentistry immediately upon entering a dental practice using the five senses: sight, sound, smell, taste and touch. A crucial role to inspiring patients toward a positive insight to dentistry and their dental health is therefore the entrance into the dental practice with support of this approach throughout the clinical areas. Modification of only the physical structures cannot achieve the full essence. Success is dependent on harmonising the physical environment with the decor, the mindset of the team and a resilient dedication to providing best practice dentistry. The nature of the team must be one of calm reassurance and a caring spirit. The average dental patient is more discerning than the group that avoids a dentist completely. A patient may be inspired by the appearance of the facility, but when they encounter a sharp-toned voice, an agitated look or a rushed atmosphere, they will communicate the perception of your incongruent approach with scepticism. The patient’s mind closes, significantly reducing your ability to instil a positive reflection towards dental health. The spa dentistry amenities offered in conjunction with dental services can include complimentary beverages, media selections of CDs, DVDs and i’glasses video, massage pads, heated neck pillows, scented eye pillows, paraffin hand treatments, blankets, reflexology, face/head massage, scented hot towels, toiletries and more. Importantly, it is not necessary to force the spa dentistry services on your entire patient base, because they will not universally embrace the concept. The spa dentistry concept will have less appeal to those deeply ingrained in a patient approach that is heavily based on science and clinical tributes of dentistry. The foundation of science and clinical expertise is still very much the epicentre in the spa dentistry practice; just the approach is now better directed for gaining consumer acceptance of dentistry as well as their recognition and understanding of oral health issues. One has to simply think on the same level as the patient to bring this concept alive. Start by stepping outside the box to find what consumers want. Not surprising, it has little to do with wanting to understand biology or technology. A new direction for service industries, of which dentistry is included, focuses on generational shifts that ask us to rethink the nature of consumer demand. This involves understanding the higher order needs of consumers and then creating service solutions that directly address those needs. Most of us desire peace of mind and the feeling of security. In this context, the higher-order needs are the broader economic issues based on emotions that surround a service rather than the strictly functional needs that the service provides (see Table 1). Higher-order needs of consumers are not just emotional. Consumers also have some of the same higher-order needs as businesses: budgets, schedules and the need to juggle both in an increasingly complicated world. Consumers, like businesses, want more efficiency, streamlining and ease of use in the services they choose. Spa dentistry integrates an all-in-one concept to expand services beyond the core service without dissolution of quality, in order to incorporate broader solutions that address higher order needs: time, budget, comfort and safety. Consumers are willing to reward businesses that effectively address these needs. For the dental practice that means building loyalty, differentiating their practice, expanding their market opportunities and capturing value. The result for the patient is a lasting positive impression of dentistry, an acceptance of prevention and the understanding that whole body health is dependent on having all body systems balanced. Furthermore, patient satisfaction is achieved on all levels: physical, mental and emotional. A spa dentistry practice will inspire patients to relax their body… soothe their mind… refresh their spirit… and love their smile. Many dental practices are already delivering aspects of spa dentistry in their approach toward decreasing anxieties and affecting positive attitudes. One of the easiest ways to begin the transition into spa dentistry is by offering a selection of complimentary beverages in the reception area for patients and those accompanying them. Beverages have a connection to social affiliation and comfort. It’s the little caring things that impress patients and offering complimentary beverages makes them feel more like a personal guest. A self-serving beverage centre promotes a sense of self-definition and minimises distraction of the team from their respective roles. 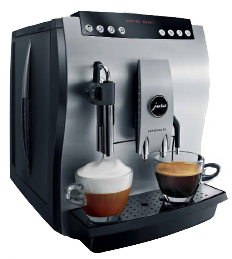 The centre could include an automatic coffee machine with push button controls allowing selection that appeals to different tastes (Figure 1). A small beverage cooler with a glass front makes juice selections inviting on hot summer days. Likewise, plumbed taps offering cold filtered water and another for hot water provide ease of use and conserve space. Sometimes parents or friends only just get started on drinking their coffee or tea right at the time the patient is dismissed from their treatment. Having coffee mugs personalised with your practice logo makes it easy to let them take the mug with them in order to finish their beverage. This becomes a gift as well as a marketing tool. The same creativity applies for disposable beverage cups too. The array of beverages on offer should represent your health philosophies. Soft drinks and sports drinks, though fashionable, represent a double standard or conflict to the patients in discussions about erosion. Offering these choices implies that your dental practice approves the consumption. Water is by far the healthiest beverage selection to offer, both plain and flavoured with citrus slices, fresh mint or flavouring syrups (1 tsp per litre) commonly used to flavour coffee drinks. A covered clear jug makes visible the fruit or mint while clear signage is required to identify the ‘flavour of the day’. Therapeutic milkshakes for patients who received local anaesthesia have been well received in the spa dentistry model. The milkshake is served immediately following treatment and the benefits include alleviation of stretched muscle discomfort from its cooling sensation, neutralisation of unpleasant tasting materials from the flavouring (i.e. chocolate, vanilla, strawberry, etc) and immediate caloric load to delay the desire for food until the anaesthetic effects have dissipated. Straws should not be used in post-extraction cases. Support your local cafe as your source for pre-made milkshakes. Give them your personalised disposable 250ml cups and order a variety of flavoured milkshakes to put in the freezer at the practice. A weekly or biweekly trip to the cafe will be needed so your stock is always fresh. At or near the end of the patient visit, microwave the milkshake to bring it to normal consistency. Experiment with the timing on the team, usually only seconds. There are circumstances where either a pre- or post-procedural beverage is contraindicated, i.e. saliva testing, plaque disclosing and following fluoride treatments. Good communication is imperative and the use of amenities can be dispensed for these patients, which will be explained in this series of articles. Spa dentistry is an effective means of communication afforded by an environment that is conducive for positive perceptions of dentistry. In order for patients to prioritise attention to oral health, they must become motivated. Positive outlooks and outcomes fuel motivation, which is the key ingredient to affecting change in beliefs and behaviour. We must still use our scientific truths to feed ideals of good oral health to our patients. The difference in the spa dentistry model is that we have a greater portion of their attention in a positive realm to instil lasting effects. In Part 2, we will present the use of aromatherapy and the elements needed to create a relaxing atmosphere. PDF of the article from Jan/Feb auxiliary magazine.